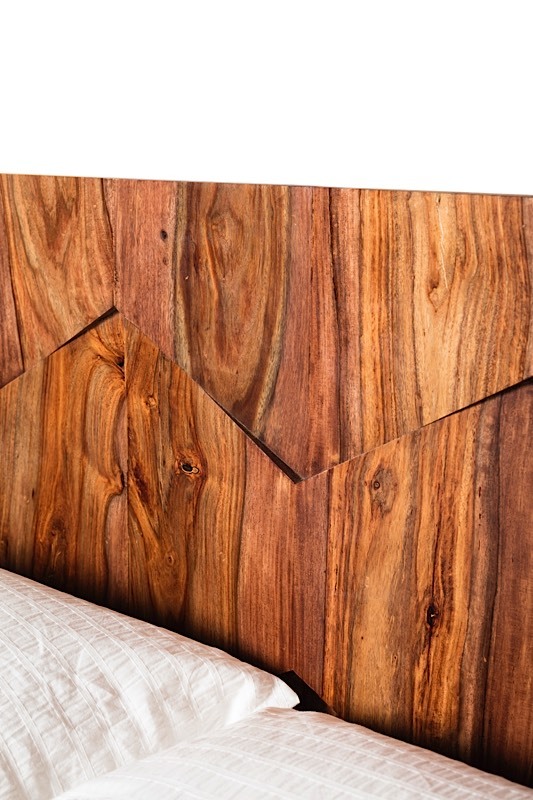 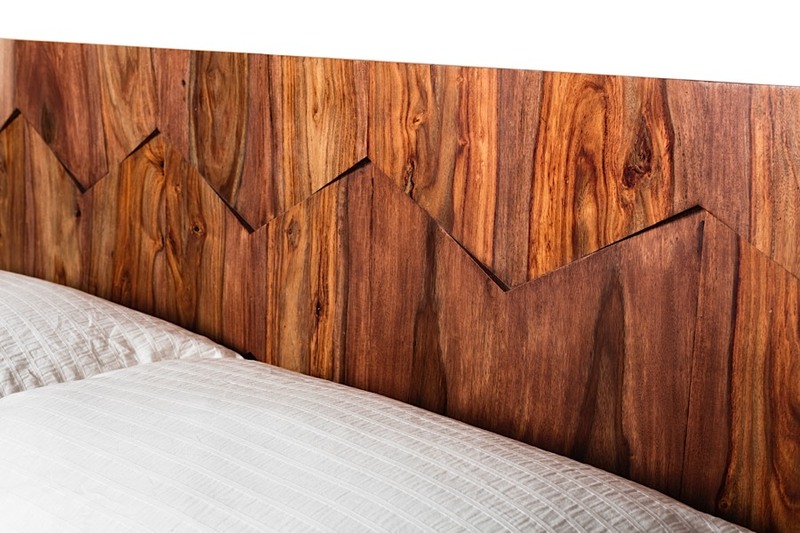 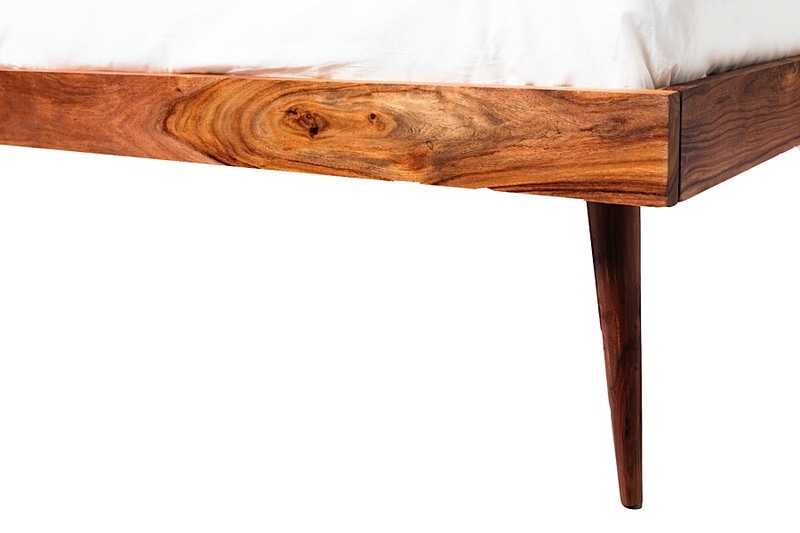 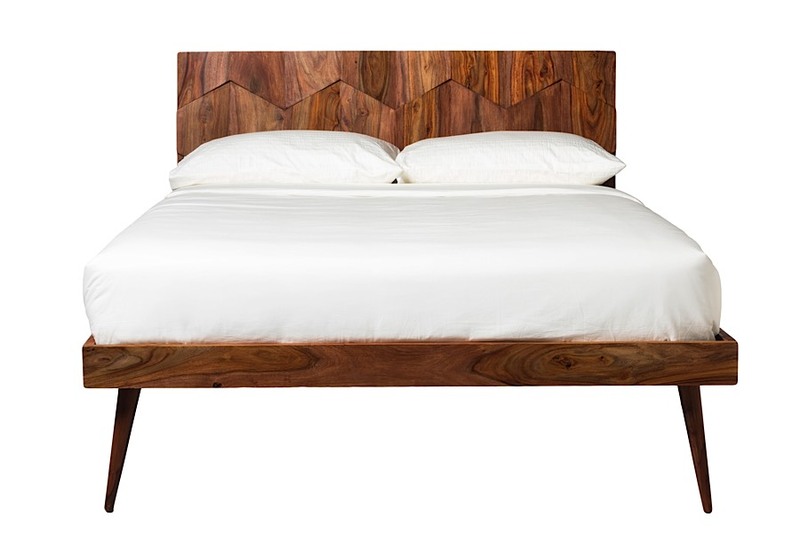 The Oxygen Sheesham Wood Bed is retro and modern all at the same time. 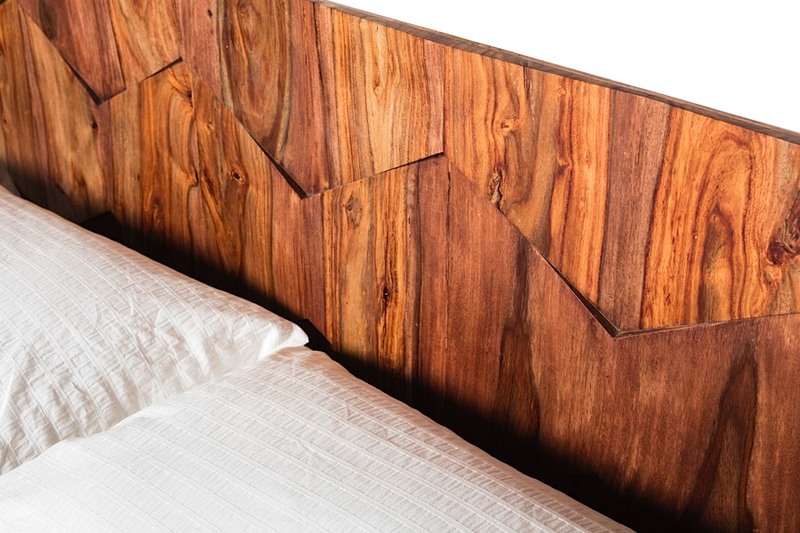 Crafted in India from solid Sheesham wood, Oxygen features a contrast of stunning textures (see "detail views" for close-ups of the texture) that will make Oxygen the perfect Sheesham platform bed to add life and style into your upscale bedroom. 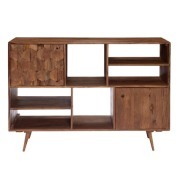 Oxygen's slim tapered legs exude mid-century mod style, giving the entire platform a striking classic appeal. 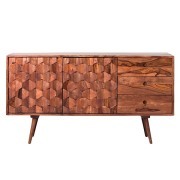 Coordinates with other items in the Oxygen Collection. 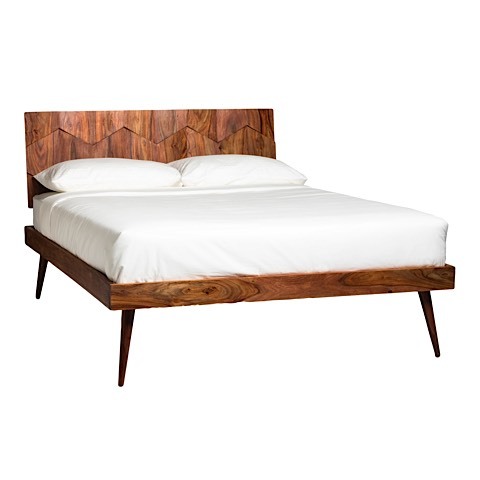 Available only in Queen size.